Oh gosh, yet ANOTHER notebook cover!! Yep, it sure is! Earlier this month, dear middle daughter and I attended a quilt show in Sacramento, CA, where she lived at the time. Local shows like this frequently have a guild table where guild members sell items they've made as a fund-raising effort. It does amaze me that sewn items are offered for sale at these shows because virtually ALL of the attendees can *make* these items themselves! This was true of a covered notebook we saw. The construction of the cover was no different from other covers that I had made myself, although it had a beautifully machine embroidered design on the front. The cover itself was made from what looked like home decorating samples .. what a great idea! AND .. you always had a writing implement because *that* was what caused the notebook to stay closed! What a GENIUS idea! 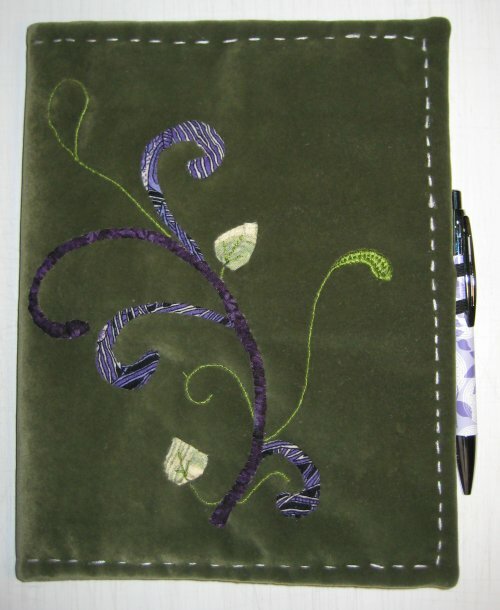 I chose to do a hand-embroidered design on the front (instead of a machine-embroidered design). The back remained plain. 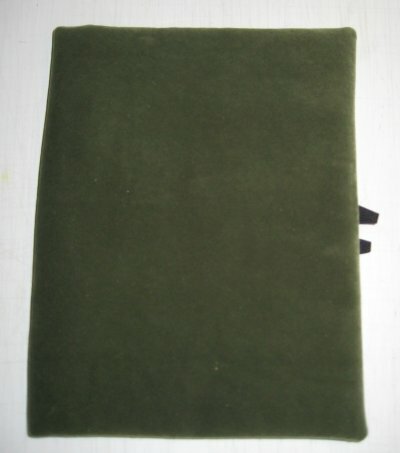 A large hand-quilting stitch was done along the perimeter of the cover. 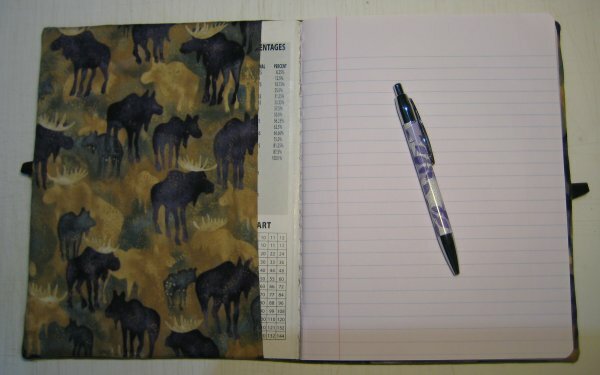 I used a moose print fabric (leftover from a previous project) as the inner lining that created the pockets into which the front and back of the notebook were slipped.